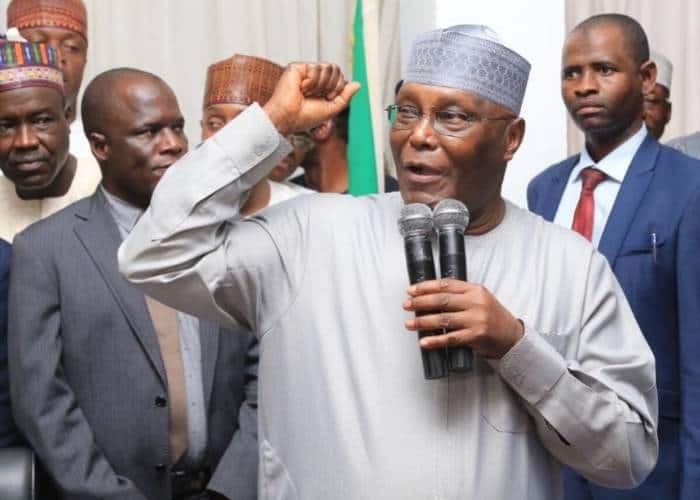 Retired General Jerry Useni, the Peoples Democratic Party (PDP) Governorship Candidate in Plateau, says that former vice president Atiku Abubakar’s presidential candidature is a blessing to Nigeria. Useni spoke through his running mate, James Dalok, on Sunday, February 10, before group of PDP supporters in Ketang, Mango local government of Plateau. Also speaking, Caleb Mutfwang, former Chairman, Mango LG appealed to party supporters in the council to vote massively for Atiku and Useni. ”We won’t disappoint our own son, Dalok, Useni’s running mate but give our bloc votes to them to lead us to the promise land,” he said. Meanwhile, Legit.ng previously reported that Ben Bako, a spokesperson of the PDP in Kaduna state has been arrested. Bako who is the director of media and publicity of the PDP campaign organisation was picked up on Saturday, February 9. An official of the party confirmed the arrest. Bako was recently caught on video inciting violence at a political rally and there is suspicion his arrest may be connected to it.